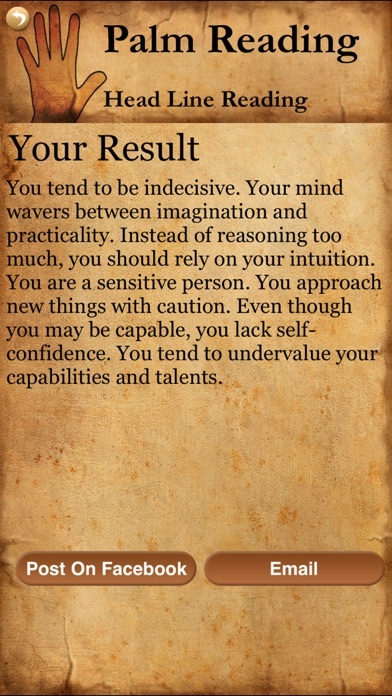 Know the future and hidden secrets about yourself and others with accurate palm readings and analysis. 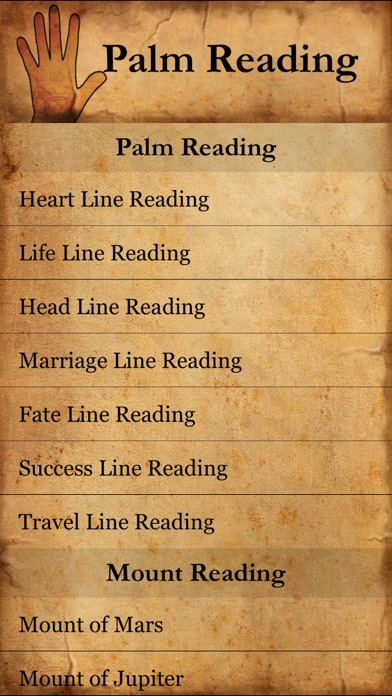 Read the Life line, Head line, Heart line, Success Line, Fate Line, Travel Line and Marriage line. Know more about love life, quality of life, health, personality, married life, etc. for your loved ones. Totally Free fun app. 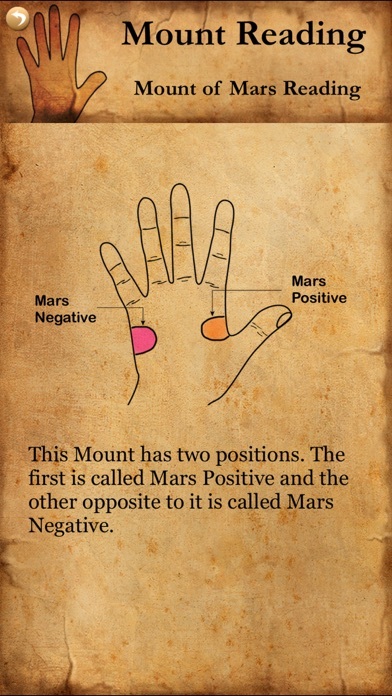 Be the center of attention in any party or in a group of friends by reading their palms. The ancient practice of Chiromancy can help you reveal a lot about your past, present and future. Aren't we always eager to know what life has to offer ? Well, now you can at least get a clue and work towards your goals accordingly. 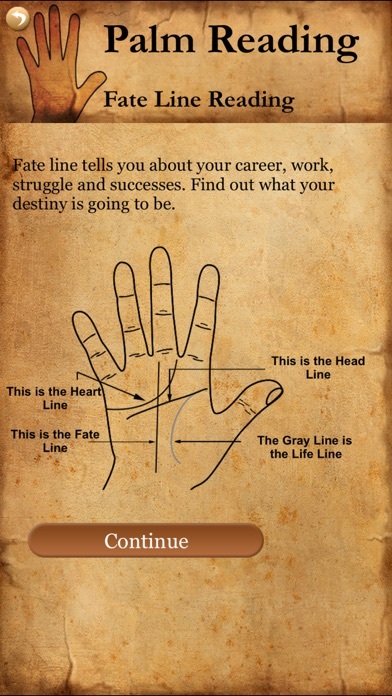 Through the Palmistry app, you will get to know about: - Love Life The Heart line will help you know about your love life and also guide you for the same. - Physical Strength | Quality of Life | Health The Life line is a future teller and helps you know how you will be able to improve your quality of life and health. - Personality The Head line will tell you what kind of a person you are and whether is is bad or good for your life. - Marriage Life The Marriage line will let you know how your married life is going to be and how to make it better if you are married and facing problems by reading the palm lines. - Career | Work Life | Struggle & Success Do you feel you put in all the efforts you can in a certain task and yet don't succeed in your career or elsewhere? Let the Success line show you what is wrong. - Destiny | Luck & Fame The Fate line reveals about what life has in store for you in general and whether it is about money or personal issues. - Travel The Travel line can reveal a lot about your travel thoughts and motivate you to travel and make travelling plans for future. You simply need to follow instructions on screen, answer a few questions about your palm and get your free detailed reading in a jiffy. 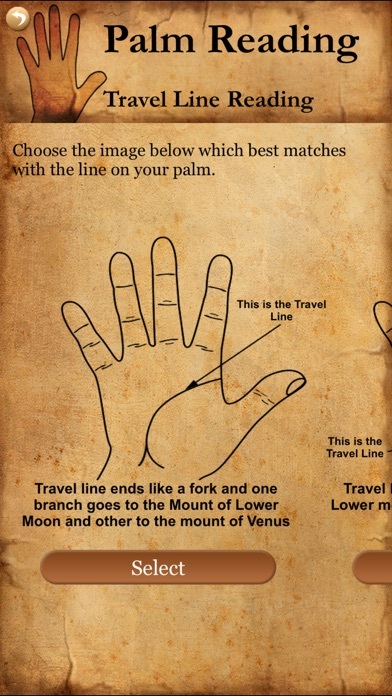 Use this fun palmistry app in a party or get-together of friends and give out palm readings for everyone. Everyone will want to know their future.